How do I publish Personalizer app to my live store? ​To publish Personalizer on your live store, you will have to 'Activate' your subscription with our app. 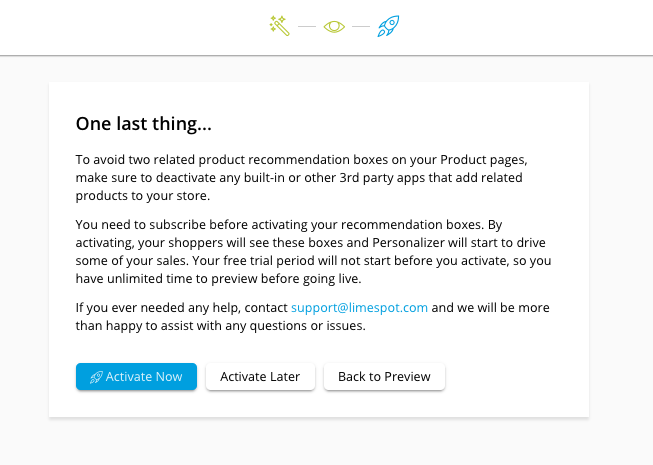 To publish Personalizer on your live store, you will have to 'Activate' your subscription with our app. Simply select the Activate button after previewing in the installation process. Alternatively, you can also go Back to the Preview mode or choose to Activate Later. 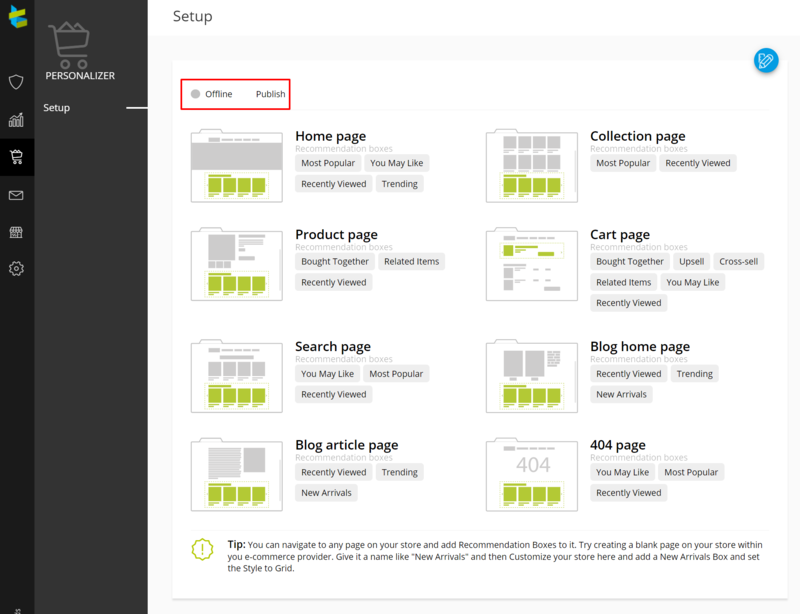 If you decide to Activate Later, you will have to login into your LimeSpot Personalizer Admin Panel and navigate to Personalizer > Setup and click on the 'Publish' button.